Palmer's Pioneer Home and the Pioneer Home in Juneau are not going to close and their residents will not have to find other places to live. It's a safe bet Gov. Bill Walker's administration and the state Legislature will find the money to keep the doors open in the next fiscal year. But there is a warning and a valuable lesson in this bizarre episode about the difficulty of cutting the state budget. The popularity of budget cuts turns into antagonism whenever anything important to people is on the line. While some will immediately say this was a "cutting the Washington Monument" scenario, because that claim is made about every significant budget cut, the level of continued reductions and the enormous size of the deficit have created a far more complicated situation. The state Senate says it has a "complete solution" fiscal plan that requires no new taxes, but the range of state services offered today can't continue with the magnitude of future cuts underpinning the Senate's version of a complete solution. The Senate endorsed a 10 percent budget cut for the Pioneer Home system last week, a $6.4 million reduction from a $60.7 million budget that is sizable enough to require some drastic action. This reduction is not likely to be maintained in the final budget, as the conference committee is almost certain to pick the House number. It appears most members of the Senate did not know about the specific Pioneer Home cut when they voted on the budget last week, as it would have been a point of contention. There are 68 seniors at the Palmer home and 101 employees. Closing one home would not be enough to make up for the entire Senate cut, so the state was looking at costs of closing the Juneau facility as well, according to an email sent to key administration officials Friday. As it is, the Pioneer Home budget has become a pawn in the budget negotiations between the Senate and House, one sign that the Senate did not spend enough time to understand the details. The $6.5 million cut is on the first page of the Department of Health and Social Services budget that popped up in a committee substitute last Monday and was approved by the committee and the full Senate. The moment this became a controversy some legislators started to offer a convoluted argument that while the cut they approved specifically targeted the Pioneer Home system, there was no cause for the state to warn residents of a possible closure that could have resulted from the Senate's action. That's because the governor would have had the freedom to overturn the Senate position if it had somehow become law. This controversy is all Walker's fault, the Mat-Su delegation says, as he would not have had to follow the Senate instructions. This is a pretty weak argument, seeing as how the cut is spelled out in the Senate budget. It could have been spread through the health department, but wasn't. "The Pioneer Home cut was not the governor's cut," said Health and Social Services Commissioner Valerie Davidson. "He said that he will fight to ensure seniors are not displaced from their homes." On Tuesday, the Mat-Su delegation issued a statement falsely claiming that the Senate had approved an "unallocated reduction to the Department of Health and Social Services." Perhaps they haven't looked at the budget or they don't want to accept responsibility for the allocation made by the Senate. The allocation that they say does not exist is at the top of the first page of this document. Sen. Shelley Hughes, a Palmer Republican, said the Walker administration is playing games and using "frail elderly people" to push an income tax. If a game is being played, the Senate is leading the action. It is true there is budget language that allows the governor to move $25 million from one account to another and another section that gives commissioners discretion in how these funds are spent. That would allow the Walker administration to cut something other than the Pioneer Home amount targeted by the Senate and "take care of a situation just like this," Hughes said on Facebook. But cut what? The Senate budget was about $40 million below the House level, with cuts in various parts of health and social services, Davidson said. Hughes did not offer specifics to cut. The language about the $25 million has been inserted into the budget annually for the past few years to deal with unexpected problems at the end of a fiscal year. It is not there to encourage the governor to override the clear direction of the Legislature on the first day of the fiscal year, which is what the Senate provided. Ironically, some legislators believe the Legislature should not give that latitude to the administration at all. Sen. Mike Dunleavy, R-Wasilla, made an unsuccessful effort at a budget meeting last week to remove the authority of the department to switch up to $25 million within department accounts, saying it was up to the Legislature to make those decisions. 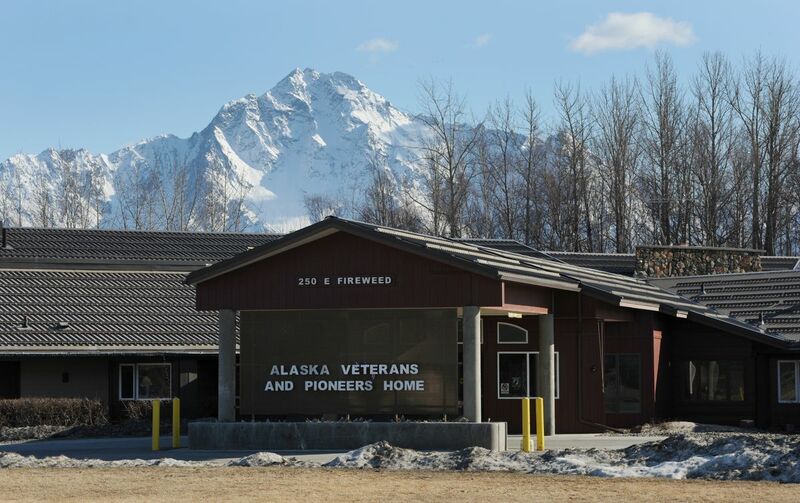 At a meeting Monday, Dunleavy asked Sen. Anna MacKinnon, R-Eagle River, about the budget the Senate voted on last week: "There were reductions within that budget, but not specifically targeting specific Pioneer Homes by this Senate Finance or the Senate, is that correct?" 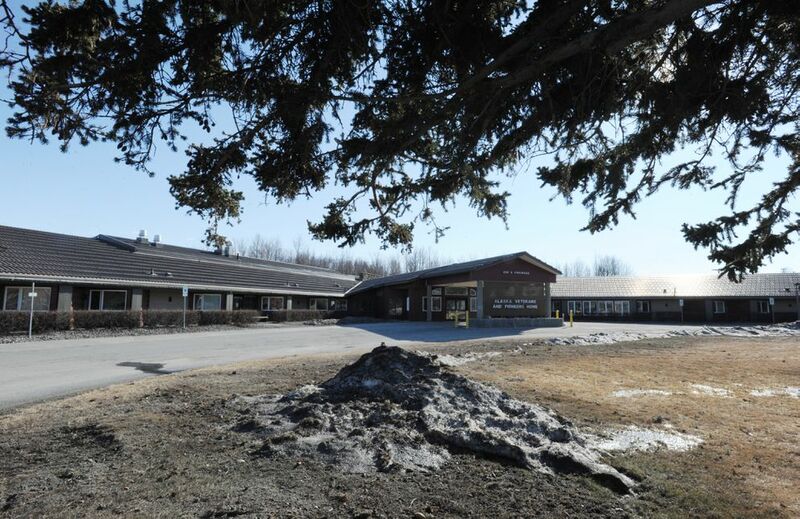 MacKinnon said her staff did not put together the operating budget, but "I am being told that if the department chooses to take the entire reduction from the Pioneer Home that is a choice of the department." To make that choice, the department would have to override the choice already made by the Senate.